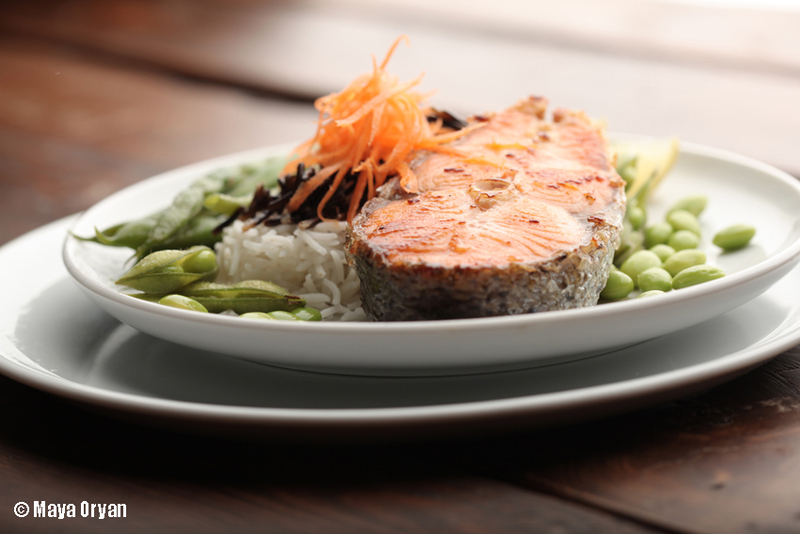 This entry was posted in Main Course and tagged baked salmon, basmati rice, dinner, edamame, gourmet meal, Rosemary, Salmon, salmon fillet, Vodka Salmon, wild rice by Maya Oryan. Bookmark the permalink. Thank you darling:) And because of the beautiful pictures you take, it makes it look even more delicious! i love ur yum blog!! 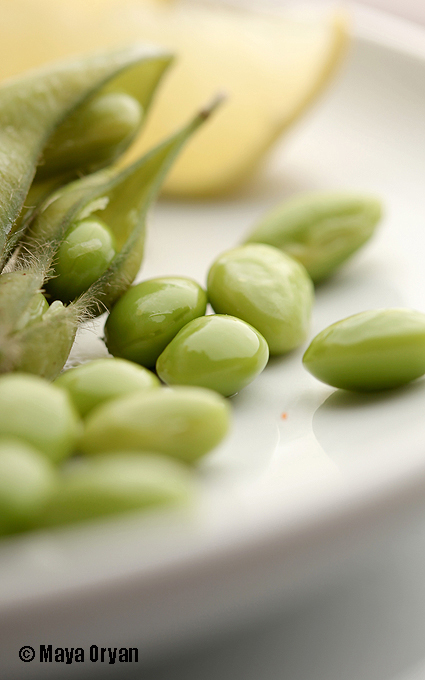 What a great green soybeans photo! Love it… and the recipe sounds delicious. I will take it on my TO DO list and will try it soon. Usually, I am keeping the salmon steaks, chunks, fillets from 12 to 15 minutes in the oven depending on their thickness. 20 minutes for me is already too long but maybe your steaks are much bigger 😉 or oven temperature differs (mine is not really precise).